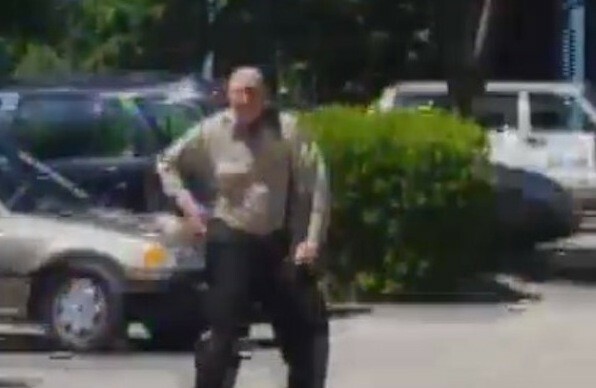 Deryl Nelson said he has been dancing on the job for years to make visitors smile, but it was “the dancing park ranger’s” moves that recently landed him into hot water with his employer. Melissa Parsons, who recently visited Coolidge Park in Chattanooga, Tennessee, and filmed Nelson getting down (literally) told WTVC-TV that some of the 51-year-old’s dance moves were inappropriate for children. After seeing the footage, Nelson was fired from his seven-year post in the public works department with city officials saying his dancing was “unbecoming conduct” and led him to neglect his actual work, WRCB-TV reported. Nelson and others though argue that he should not have lost his job for the dance moves. Park visitor Jordan Otis told the news station that seeing a government employee “out dancing, enjoying life” made people happy. “Sad. I mean somebody’s trying to have fun and entertain people and they get fired for doing that. I don’t understand,” Deeanna Demian, another visitor to the park, told WRCB. The news station reported that Nelson previously had a couple of other work infractions, unrelated to the dancing, but he also is credited with saving a woman who fell into the river last year.